Two days ago we reported on new rumors from Korea saying that Samsung will have to use IPS-LCD displays in about 10% of the Note 3 phones due to expected AMOLED production shortages. Today MT Media (a Korean publication) posted an "Exclusive" article in which they say that Samsung will in fact use a plastic-based unbreakable 5.99" YOUM OLED display in the Note 3. This coincides with the OLED Association claim back in April that the Note 3 phone will use a YOUM display. Samsung's YOUM capacity (especially for these relatively large 5.99" panels) will be quite limited at first, but it seems that Samsung really has to innovate in their new phones. The GS4 is a great phone with a terrific display, but it isn't really innovative in hardware or design (and some suggest that sales aren't as good as Samsung hoped for). Remember that LG already announced they will ship a mobile phone with an unbreakable flexible OLED display by the end of the year. And the Note 3 will face some serious "phablet" competition from LG, HTC and Sony. So if Samsung wants this phone to be a best-seller, they need to include some new innovative technology in the Note 3 - and what better than an exciting new display technology? And maybe both recent reports are correct. 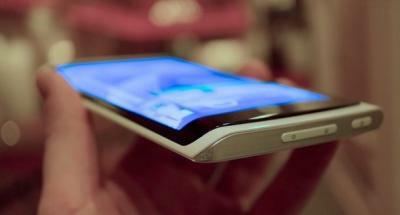 Samsung will release a premium Note 3 with an unbreakable flexible OLED (the Note 3F?). But as capacity will be low, they will also release a lower-end Note 3 model that will have a "regular" LCD display. Samsung YOUM displays use a plastic (Polyimide) substrate, an LTPS backplane, direct-emission RGB patterned OLED sub pixels and thin-film encapsulation (using Vitex's multi-layer technology). Samsung officially launched the YOUM displays during CES 2013. Samsung showed prototypes with curved panels, but the first products will probably use a simple flat panel. It will however be shatterproof, and also lighter and thinner compared to glass based OLEDs. I read an article a few months ago that Samsung had abandoned the Vitex approach as a thin film encapsulant because it was too slow for a production line. The article indicated that it took ~ 2 minutes to apply the Vitex type layer (multiple dyads of a metal oxide and polymer layer). Have they now reversed this decision and gone back to the Vitex design, or do they have a new approach? If any body knows what Samsung is useing as a vapor barrier of the flexible OLEDS could you send me an e-mail at johnfenn@att.net? Will samsung release a phone with a three-sided YOUM display in 2014? Samsung to use LCD in some Note 3 phones due to AMOLED shortage?